Best Engine Oil In Malaysia – What To Look For? What is the best engine oil in Malaysia? If you are a car or motorcycle owner, most probably you will be asking that question when you are servicing your vehicle for the first time. In this article, I will share with you some of the science of a good engine lubrication oil. At the same time, I will recommend some good engine oil which you can try when your next engine service cycle approaches. The main and the primary function of engine oil is to lubricate engines of the vehicles, it provides a micro thin oil film which acts as a barrier between the moving parts to minimize the friction, heat and also reduces the wear and tear. In addition it also helps in cooling and removes the heat generated by the friction. The modern engine oil also helps to prevent deposit build up and cleans the engine to give best performance. Since engine oil provides protection to the engine, it needs to be replaced periodically, as per rule of the thumb, the mineral oil needs to be replaced after 5,000 km, semi synthetic after 7,500 km and fully synthetic after 10,000 km. For a layman, it might be slightly difficult to understand the difference between mineral semi and fully synthetic engine oil. The engine oil which derived from the petroleum products is known as mineral oil; on the other hand the oil which is developed in the laboratory is called fully synthetic engine oil, the blend of two in known as semi synthetic engine oil. 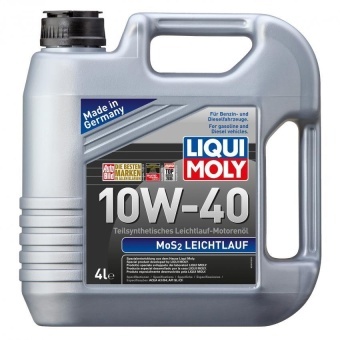 For the best semi synthetic engine oil at an affordable price, check out the MOS2 Leichtlauf 10W40 4L by Liqui Moly. It is 100% made in Germany and is available at Lazada Malaysia. While selecting the best brand of engine oil one must check the SAE (Society of Automotive Engineers) viscosity grade and the quality indicators. The viscosity is very important it means the thickness of oil and the flow property of engine oil, and also changes with the different temperatures when the car is being driven. The engine needs low viscosity oil as it flows easily and circulates more quickly, especially during cold thus protecting various parts from the wear. During the startups thin oil is required and when the car is in motion thick oil film provides the best protection. This is the reason why multi grade oils are now available in the Malaysian market. 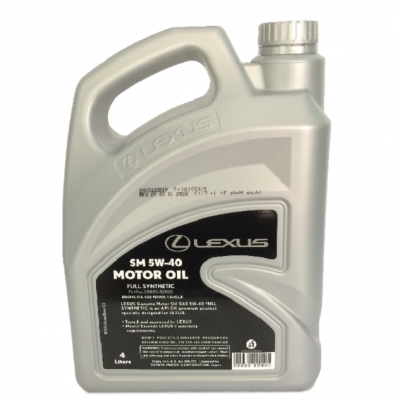 For the best fully synthetic engine oil in Malaysia an yet not too expensive, check out the Lexus 5W40 engine oil. The oil is made by SNLOC and uses licensed technology from Toyota Motor Corporation of Japan. In the laboratory the multi grade oil is produced by adding polymers to light base to prevent oil from thinning too much as it warms up. In the cold these polymers form a coil and allow oil to flow at low viscosity. The best quality indicator is to see the mark API (American Petroleum Institute) on the bottle. The mark indicates the quality of oil and is generally categorized as S and C for petrol and diesel vehicles. How can you differentiate between good and bad oil? The best option is to check the data sheet of the oil, where you can find its pour point and flash point. Pour point refers to the lowest temperature at which oil will still pump and maintain adequate pressure, and the flash point is when the oil starts giving vapors that can be ignited with flame. The best option is to refer to the manual which is given to you when you purchase the vehicle, normally depending upon the local climate the grade of the oil is recommended. Normally in new cars thinner range like 0W-30 and 5W-30 is usually accepted. With the age of the vehicle thicker oil is more acceptable. You must select the oil which has high flash point. It is very important to monitor the level of engine oil, you will have to keep it between max and min, and otherwise there can be damage to your engine. Engine oil monitoring should not depend upon one service to other, but regular monitoring will ensure that the vehicle has adequate quantity of engine oil all the time. 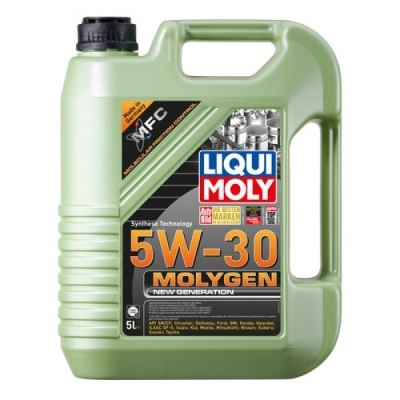 For the next generation engine oil, check out the Molygen New Generation 5W-30 4L oil by Liqui Moly.